Millburn's long-biased and long-only strategies provide investors with "strategic" long-term exposure while enabling shorter-term responsiveness. The goal is to provide superior risk-adjusted returns over time, with the potential to significantly reduce drawdowns, compared with traditional long-biased or long-only approaches investing in similar asset classes. Utilizing return forecasting technologies similar to those employed by Millburn’s systematic long/short strategies, our long-biased and long-only portfolios tactically and systematically adjust positions based on the market environment for each traded instrument, providing what we believe to be a truly adaptive portfolio. A virtue of their systematic approach, Millburn’s long-biased and long-only multi-asset portfolios can provide exposure to a range of instruments and asset classes, and can produce a variety of possible absolute return or benchmark-relative approaches. The integrated nature of Millburn’s long-biased and long-only multi-asset portfolios permits the targeting of specific volatility levels and the implementation of precise risk controls at the portfolio level—something that can be difficult to do when simply combining individual long-only and long/short investments together. For those investors with specific investment needs, custom portfolios can be structured based on criteria including: baseline levels of strategic exposure; range of tactical adaptability; target risk (volatility); market or asset class inclusion or exclusion; and fee constructs, among others. Millburn's long-biased Global Multi-Asset (“GMAP”) programs are risk-balanced, highly-liquid strategies that are intended to provide investors with strong, stable returns in a global, multi-asset framework. To accomplish this, GMAP programs attempt to take advantage of: diversification by asset class, instrument, trading strategy and holding period; the ability to take long and short positions; robust systematic approaches; and integrated risk management. The intention is to produce a smooth, consistent return stream for GMAP investors over the longer term, regardless of market conditions. Of course, there can be no guarantee that losses will not occur. GMAP programs are intended as flat management-fee-only offerings. 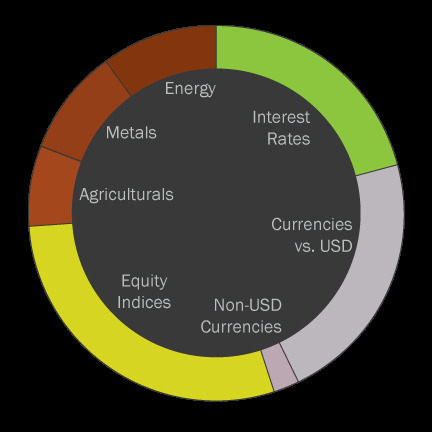 Millburn's Global Multi-Asset Portfolio ("GMAP") provides risk-balanced, long-biased exposure to global equity, fixed income, commodity and currency asset classes. GMAP systematically and continuously adjusts baseline long exposures on an instrument-by-instrument basis, depending on market conditions. GMAP is long-biased but may take short positions during identified periods of stress. GMAP's tactical short-term adjustments are based on signals generated by Millburn's proprietary multi-factor models, which utilize instrument-specific data to develop return forecasts for individual instruments traded within the portfolio. The goal, for each instrument and for the portfolio as a whole, is to systematically reduce exposure (or even take short positions, as appropriate) during periods of stress, while becoming opportunistic during more favorable environments (i.e., increasing exposure within pre-set bounds). GMAP targets a portfolio volatility of 9%. Millburn's long-only Adaptive Allocation (“MAAP”) programs are risk-balanced, highly-liquid strategies that are intended to provide investors with a reliable level of strategic long-only exposure to a range of global markets, while systematically becoming more opportunistic or more defensive in each instrument in the portfolio as market conditions warrant. Our research and experience has shown that the MAAP approach can be particularly beneficial during periods of uncertainty or stress for long-only investments in many traditional asset classes, seeking to smooth volatility and preserve capital for future compounding. Of course, there can be no guarantee that losses will not occur. MAAP programs are intended as flat management-fee-only offerings. 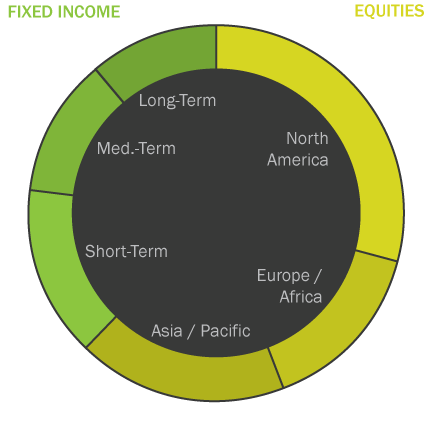 Millburn's Global Equity / Fixed Income MAAP Portfolio ("MAAP/EFI") provides risk-balanced, adaptive long-only exposure to global equity and fixed income asset classes. MAAP/EFI systematically and continuously adjusts baseline long exposures on an instrument-by-instrument basis, depending on market conditions. No short positions are taken. MAAP/EFI's tactical adjustments are based on signals generated by Millburn's proprietary multi-factor models, which utilize instrument-specific data to develop return forecasts for each individual equity and fixed income instrument traded within the portfolio. The goal, for each instrument and for the portfolio as a whole, is to systematically become more defensive during times of stress (i.e., reduce exposure within pre-set bounds), or become more opportunistic during more favorable environments (i.e., increase exposure within pre-set bounds). No short positions are taken in any instrument. MAAP Global Equity / Fixed Income targets a portfolio volatility of 9%.